Gloria Friedman started DAMOMICS in 1982 as a programmers shop. DAMOMICS stands for Development And Modification Of MIcroComputer Software. During the course of work, requests would come in for custom built computers, parts, service and accessories. 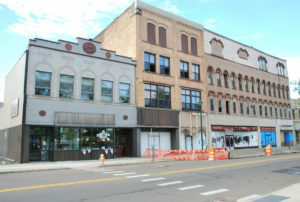 Thus the DAMOMICS store location on 120 Water Street was purchased. Through the years, DAMOMICS adapted to serve the needs of its customer base in the Twin Tiers. In speaking with several business customers, there was a clear need for Point of Sale software in the local business community. Ron & Gloria researched and demoed all of the available POS software and hardware at the time and came to the conclusion that Synchronics CounterPoint was the best option with the widest industry scope. Ron & Gloria have excellent relations with their customers as well as ties to the community (being members of the Chamber of Commerce since DAMOMICS inception) and being a strong supporter of community events. With the creation of the DAMOMICS User’s Conference in 2005, the owners cultivate an environment where their clients can mingle, learn new CounterPoint options as well as preview services from a wide range of vendors. In the summer of 2015 we returned home to find that the facade from an adjacent building failed and was in danger of falling onto the street. 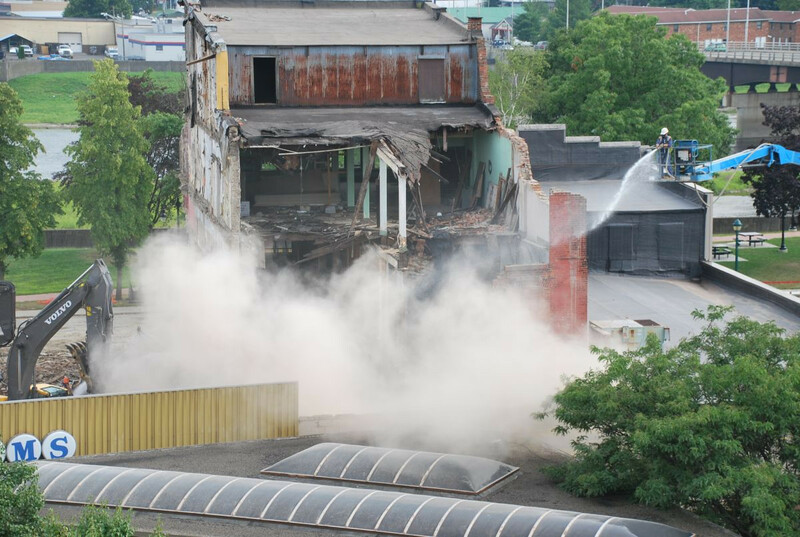 The city began an emergency demolition of the middle two buildings in a four block strip. They thought that they could save our building. But about three weeks into the demolition, a load of bricks fell from the fourth floor of the adjacent building and destroyed our offices. We were able to relocate to the corner of Main and Water Street, about a half block from our building. We also decided that this was a sign that then was the right time to sell our business. Our CounterPoint and Passport customers were acquired by SoftIntelligence of Atlanta Georgia. Per our agreement, Joe maintained our staff and offices for three years. We ware happy to say that after the three years were up, Joe decided to keep an office in the area but relocated to a more convenient location outside of Corning. Ronald A Friedman, has been in the Information Technology field for over 35 years. Prior to DAMOMICS, Ron was previously employed as a Consultant and Account Manager for the nation’s largest professional computer service company (Computer Task Group, Inc.). Ron’s Electrical Engineering & Computer Science education is from Rensselaer Polytechnic Institute. His specialization is in inventory control, physical counts, data collection and customer loyalty programs. Gloria Friedman, has been in the Information technology Field for over 30 years. Gloria was previously employed as a Materials Engineer for Corning Glass Works (now Corning Inc.). Gloria’s Masters in Materials Engineering and Computer Education is from Rensselaer Polytechnic Institute. Gloria’s specializes in operations and accounting. She does troubleshooting and training for QuickBooks, Real World, PassPort and other accounting software systemsl. Ron Friedman sits on the Board of Directors for the Chemung County Chamber of Commerce and has been actively involved with the Chamber for the last 30 years. We now consider ourselves to be "semi retired" but we will continue to assist other CounterPoint dealers and end users and QuickBooks end users on a special request basis. We are also providing voluntary consulting services through SCORE.